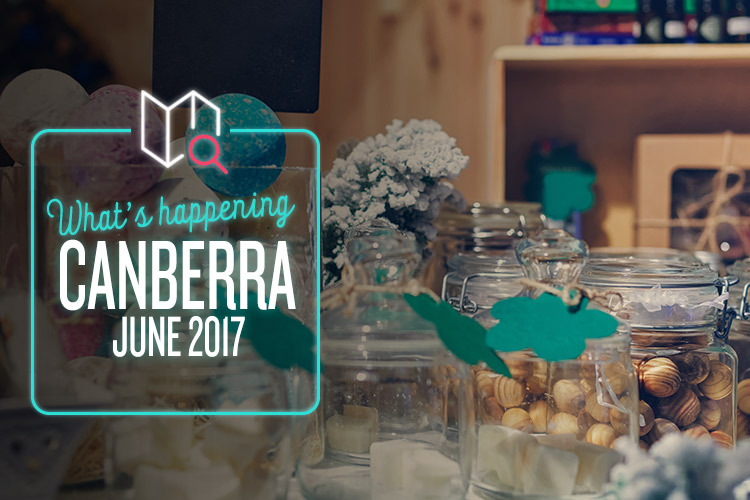 It might be getting chilly, but before you go into hibernation, check out some of the good times happening around Canberra this month! What goes perfectly with a big steaming plate of dumplings? Why, a bottle of vodka of course! Erm, we mean a sampling of vodka. Enjoy traditional handmade Russian dumplings and celebrate the end of the week with an assortment of the best Russian vodkas at the Pop-Up Russian Dumpling & Vodka Bar. The event is organised by local volunteers with help from Farmerscrops, Babooshka’s Kitchen and the Sisterhood of the St. John the Baptist Russian Orthodox Church, so it’s all for a good cause, too. Zazdarovje! Handmade Market is all about supporting local businesses that specialise in handmade homewares, fashion and food. With 250 local and interstate designers and producers setting up shop for the weekend, it’s the perfect spot to pick up a one-off treasure for a gift or some artisan goodies for home. Alongside all the lovingly crafted wares on offer, there will be a food hall full of local food trucks serving up some of the best street food Canberra has to offer. There’s set to be over 200,000 attendees this year, so be sure to get there early to secure your spot at the front of the queue. If you’re furry and four-legged, or if you have a dog, A Pooch Affair is not to be missed. It’s basically the ultimate doggie day out, with everything from a doggie day spa to a doggie diner and café. There’s even a high tea where you and your pup get to enjoy gourmet treats together, as well as a complimentary “Paws and Pose” photo booth available for you to take lots of happy snaps of your special doggie day out! And if you’re feeling creative, dress up your pooch for a chance to win some great prizes. Your dog probably won’t appreciate it, but he’ll look so darn cute, so it’s totally worth it. Festa Junina is a traditional Brazilian celebration of country-style dance, food and drink, and this year it’s made its way all the way to Canberra! Experience the sights, sounds and tastes of Brazilian culture in one jam-packed day to mark the beginning of winter. In typical fashion, you can expect lots of impossibly flamboyant costumes, bright and bold decorations, a Brazilian feast with all the trimmings and even some good old-fashioned square dancing! So head on down for a guaranteed day of fun.